La forma elegante de este estuche de espuma EVA moldeada brinda protección plana para computadoras portátiles de 13,3 pulgadas sin sacrificar el estilo o el diseño. Tamaño de la pantalla de la computadora portátil 13-13.3"
I use this case to carry my 13" Macbook Pro. 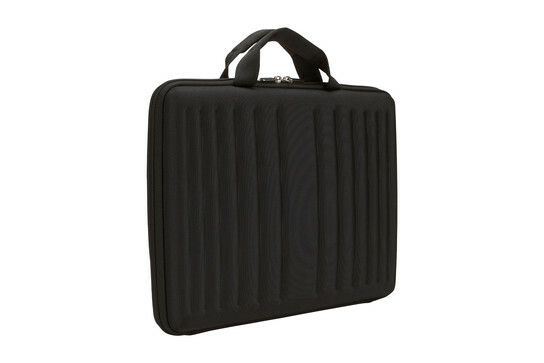 The case is roomy and the laptop jostles about quite a bit which is very disconcerting. I am reassured because the case is well made, but it is a poor fit. Additionally, the case was not shipped for over a week, and case logic didn't ship until I contacted them to ask about the delay. Not sure if I will buy from case logic again. This, like other cases I have purchased from Case Logic, is excellent. Well designed, remium construction, and a good value. I purchased a Tumi leather bag online but when I received it, I was surprised to find that the laptop section did not have any padding. I needed to find a sturdy yet slim sleeve and the case logic sleeve was perfect. It is very well designed, sleek and light. 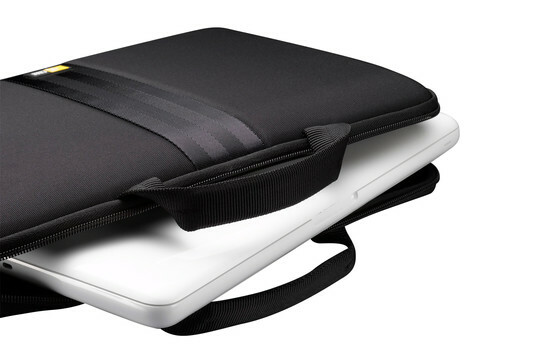 Absolutely perfect for the new MacBook Pro...very sturdy and great looking. This case is perfect for my 13" laptop. It makes traveling for business a piece of cake. 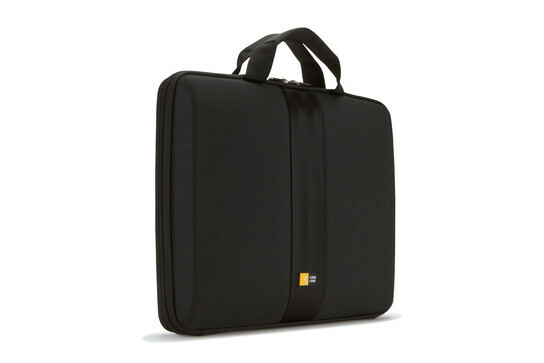 This product is good to carry the computer in. It's not to big but not to snug. This has been a great case. I have to carry my laptop around to different rooms during the day. 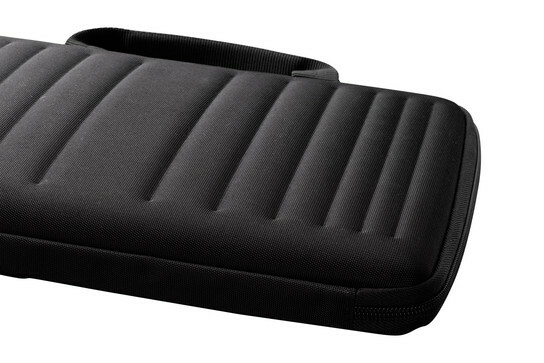 This case makes it possible to just pick it up, zip it up, and go. I love the handles and when I get to my new destination, I don't have to take it out, just open it up and it's ready to go. I feel the case is well made and durable. My only wish was that it came in more colors - I'd probably buy different ones depending on my mood. This was the perfect choice for my MacBook Air. 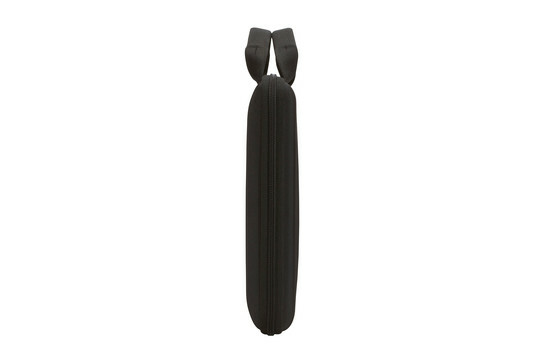 It's compact, but sturdy and the plain black color allows me to carry it while in uniform. Great product! 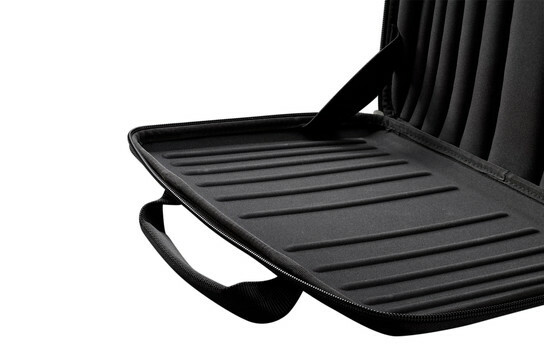 I just wish there was an elastic strap that went long ways across the center to hold my lap top in the case while both are open.